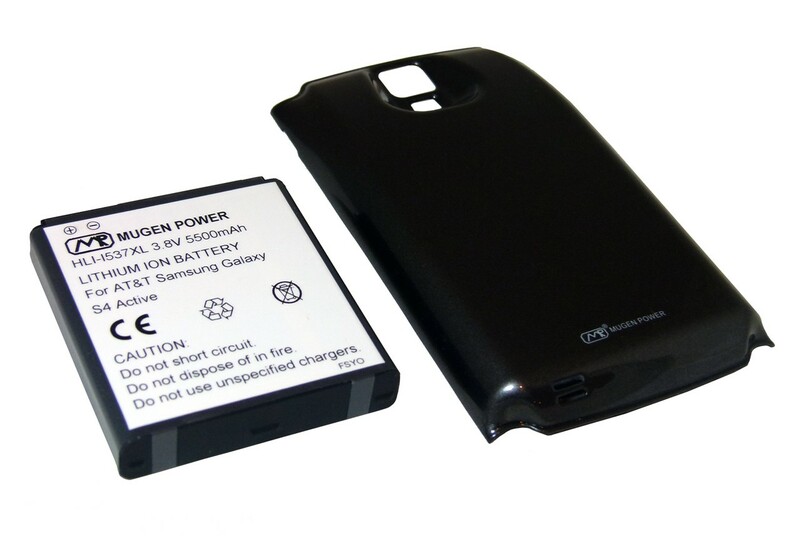 For those looking to extend the usage times of their Galaxy S4 Active, Mugen has announced the availability of a 5,500mAh battery for the device, which it promises will last over twice as long as the standard battery, which has a capacity of 2,600mAh. Not a far-fetched claim, considering the capacity has been more than doubled, though you’ll have to make do with a bulkier battery and add-on battery cover. The battery cover is available in blue or gray, and the battery also supports NFC and wireless charging, though you’ll be losing out on the water-resistance of the phone that the original battery and cover allow for. The battery costs $89.50, and you can order one at the source link.